Use discount code 2FOR28 to order What Does This Look Like In the Classroom? and Tom Sherrington's superb The Learning Rainforest together. Enter code on SHOPPING CART page for discount to apply. Save £6! 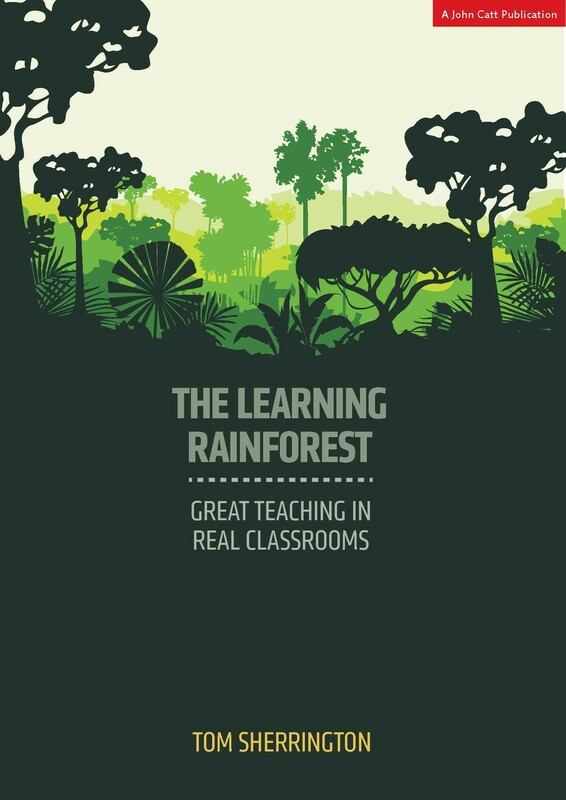 The Learning Rainforest is an attempt to capture various different elements of our understanding and experience of teaching. It is a celebration of great teaching - the joy of it and the intellectual and personal rewards that teaching brings. It is aimed at teachers of all kinds; busy people working in complex environments with little time to spare. The core of the book is a guide to making teaching both effective and manageable; it provides an accessible summary of key contemporary evidence-based ideas about teaching and learning and the debates that all teachers should be engaging in. It's a book packed with strategies for making great teaching attainable in the context of real schools. The Learning Rainforest metaphor is an attempt to capture various different elements of our understanding and experience of teaching. Tom's ideas about what constitutes great teaching are drawn from his experiences as a teacher and a school leader over the last 30 years, alongside everything he has read and all the debates he's engaged with during that time. An underlying theme of this book is that a career in teaching is a process of continual personal development and professional learning as is engaging in fundamental debates rage on about the kind of education we value. As you meet each new class and move from school to school, your perspectives shift; your sense of what seems to work adjusts to each new context. In writing this book, Tom is trying to capture some of the journey he's been on. He has learned that it is ok to change your mind. More than that - sometimes it is simply necessary to get your head out of the sand, to change direction; to admit your mistakes.